Naples real estate awaits your discovery. Amazing homes and condos. Finding your ideal Florida home has never been easier. Our accurate MLS listings are updated hourly and easy to use. Meet the perfect REALTOR®. Discover various Naples areas that you can choose from. Check out our wonderful colleges, golf courses, and much more, all from the comfort of your home. 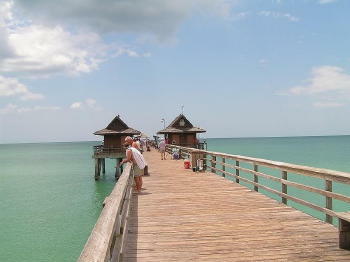 Naples is said to be the crown jewel of Southwest Florida. Naples is known for world class shopping, dining and abundant challenging golf courses. Located on the sun drenched beaches of the Gulf of Mexico. It is only steps away from island seclusion or the untamed tropical wilderness of The Everglades. Naples real estate makes a splash with water lovers and recreational activities. Friendly green parks beckon sports enthusiasts and picnickers with lovely green spaces and recreational facilities. Naples offers a variety of cultural and recreational activities, including many fine restaurants. Shopping centers in the area range from small specialty shops to large chain department stores. Included the 5th Avenue South and 3rd Street South antique shopping districts. Naples is known for its pristine white sandy beaches and large nature preserves. The average Naples home price is up 13% from a year earlier. Inventory is dropping which is driving Naples home prices up.